Bhadrapur– The Division Forest Office Jhapa has mobilized armed patrol team with siren-equipped vehicle to chase away wild tuskers at Buddhashanti rural municipality. The safety measure was put in place after the herd of wild mammoth continued demolishing houses of local people and eating up their crops, shared division office chief Bishnu Ghimire. 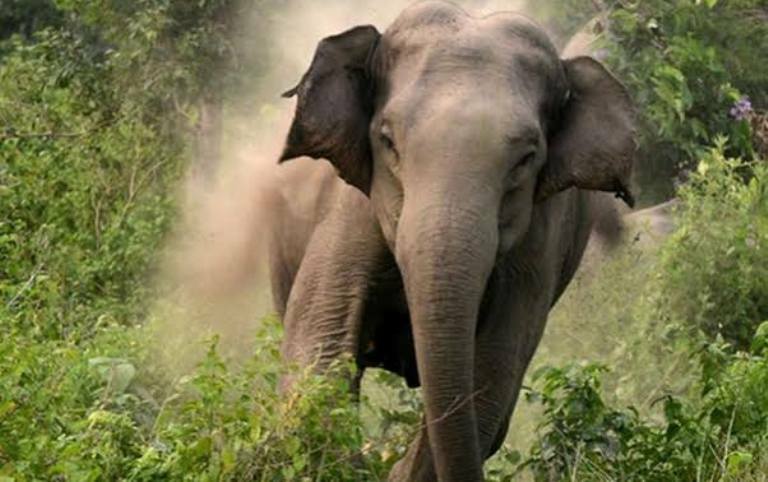 He said that there are roughly 13 wild elephants in the community forest of the area and the beasts have been terrorizing locals especially in the evening time, said Sitaram Bastola, a local of Buddhashanti rural municipality-3.